Very showy Tetrahedrite with excellent luster and well formed crystals. Analysis some times gives agreeable surprises, as in this case: a really sharp Tetrahedrite pseudomorphosed by Bournonite. Pretty uncommon! 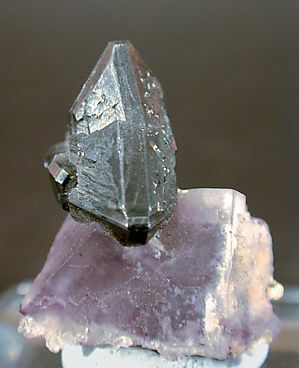 Plus this specimen is very well placed on its Fluorite matrix. As usual in unusual things we will provide the analysis to the buyer of the specimen. 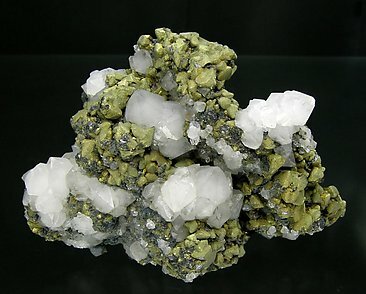 The crystallographic simplicity of the Tetrahedite gives it a surprising beauty. The tetrahedra that give it its name are sharp, brilliant, have strong edges and contrast very well with the amazing forms of the Calcite and also with the small Pyrite pentadodecahedrons. 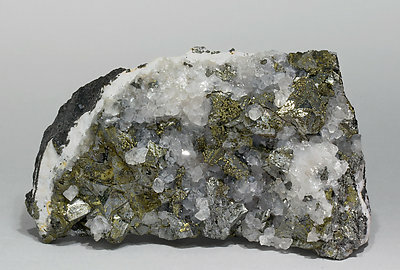 Parallel growths of Tetrahedrite crystals of very well defined faces and edges, extraordinarily bright, with Chalcopyrite and small crystals of Galena with hollow growths. Very original. A great classic from a classic mine. 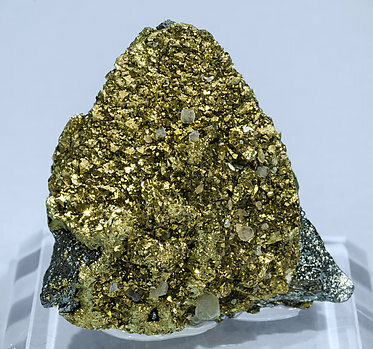 Tetrahedral crystals, that give it its name, are covered by Chalcopyrite, on a matrix of Quartz crystals with short prisms, practically the bypyramidal habit. From a very recent find. 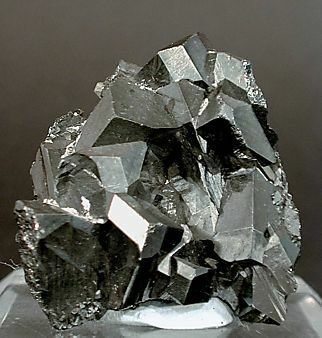 Sharp tristetrahedral crystals with an excellent luster. They are larger than what has been known for the locality. 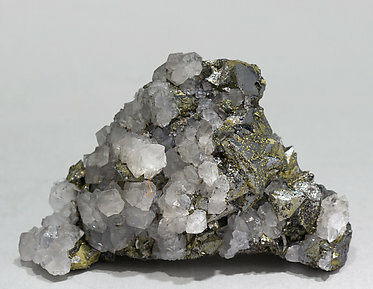 They are on matrix, with Chalcopyrite and Quartz crystals. The find has been described in number 107 of ‘Le Règne Minéral’ magazine. From a very recent find. Sharp crystals showing the faces of the tetrahedron and tristetrahedron. They have an excellent luster and are larger than hasbeen known for the locality. 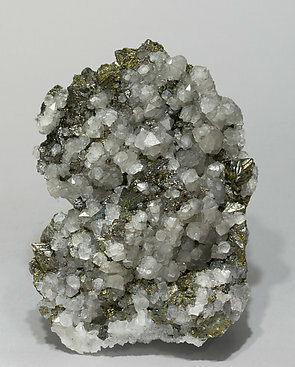 They are on matrix, with Chalcopyrite and Quartz crystals. The find has been described in number 107 of ‘Le Règne Minéral’ magazine. From a very recent find. Sharp crystals showing the faces of the tetrahedron and tristetrahedron. They have an excellent luster and are larger than has been known for the locality. 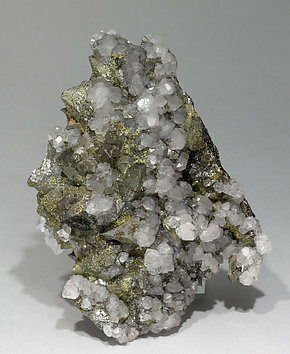 They are on matrix, with Chalcopyrite and Quartz crystals. The find has been described in number 107 of ‘Le Règne Minéral’ magazine. From a very recent find. Sharp tristetrahedral crystals with an excellent luster and they are larger that has been known for the locality. 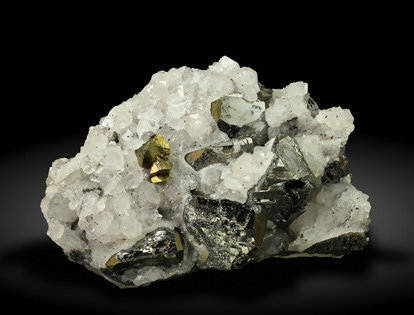 They are on matrix, with Chalcopyrite and Quartz crystals. The find has been described in number 107 of ‘Le Règne Minéral’ magazine. 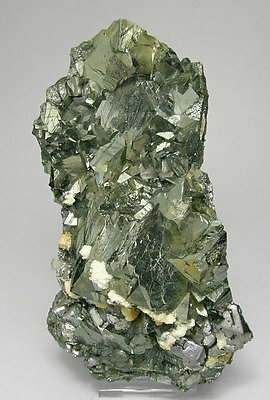 Large tetrahedral Tetrahedrite crystal with irregular surfaces and almost completely coated with bright and very well defined Chalcopyrite crystals, and some white Siderite crystals. Good sized and very well defined crystals partially coated by microcrystals of Quartz on matrix. 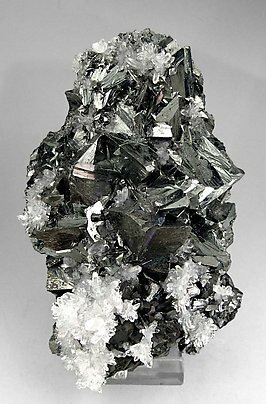 Very sharp tetrahedrons of Tetrahedrite crystals that are extraordinarily bright and are on a matrix of Quartz crystals with groups of Sphalerite crystals and small Pyrite crystals. The sample is from the Uwe Niemeyer collection (Germany) whose label we’ll send to the buyer. 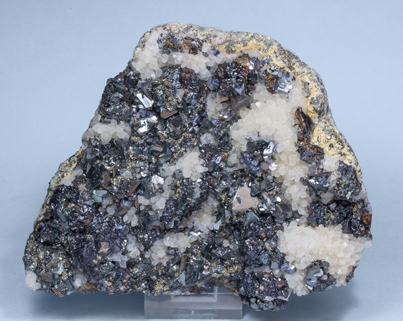 Very sharp well defined and bright crystals of Tetrahedrite, some of them with small damage on the edges. 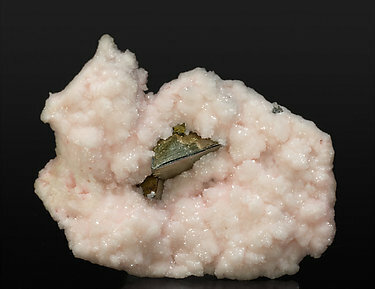 On matrix, with globular Rhodochrosite and Quartz. 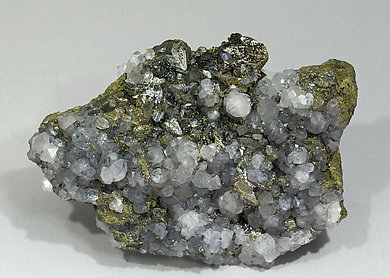 A real rarity for this mine, as we think that almost no one has ever noted the presence of Tetrahedrite at Panasqueira. 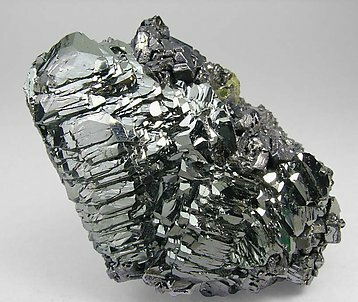 The small brilliant crystals are gray-black and are on prismatic Siderite. 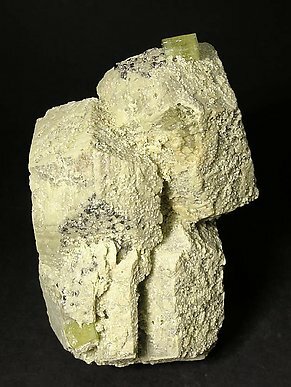 There is also some green Fluorapatite, which adds to the interest of the specimen. 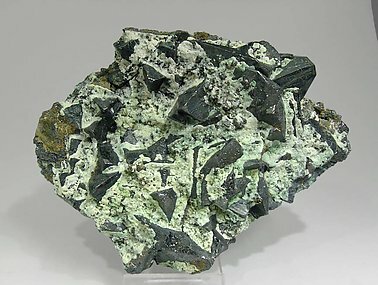 We will give the buyer a copy of the analysis of the Tetrahedrite. 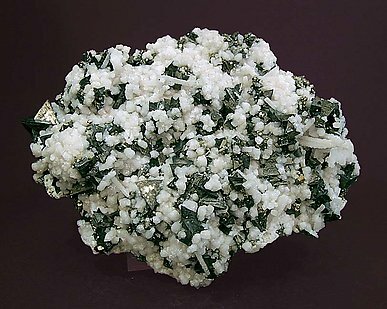 Very sharp and bright tetrahedral Tetrahedrite crystals with twinned caramel-colored Sphalerite crystals and on a matrix of Quartz crystals. We’ll send to the buyer the original label and also a copy of the computer card with the full text in the collection catalog. 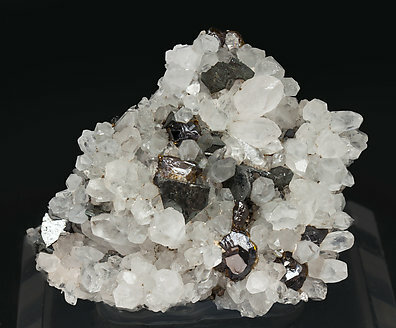 Group of very sharp tetrahedral crystals, with an excellent brilliance and growth striations, accompanied by Sphalerite and partially covered by Quartz. 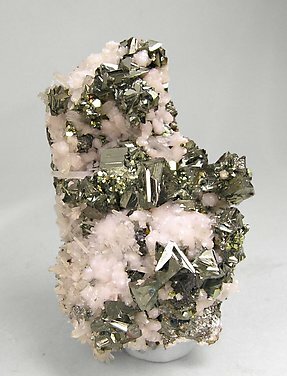 Big crystals with parallel growths and a partially melted look, with Chalcopyrite and with small crystals of Galena, Quartz and Calcite. The sample is from the collection of James Catmur and we'll send the label to the buyer.